Anyway, Snuz is going in for baby number four – having done Angelica, then my friend Lauren’s newborn, and then Ted, it’s off to Bath to welcome a baby boy next year. It really is the gift that keeps on giving – thanks Mum! I’d say that four uses makes it pretty good value for money – and it has survived really well, despite the fact it has lived in seven different houses and travelled about 600 miles. Snuzpods are so well made and very easy to clean up if they get a little grubby on the canvas parts. The only part that has been replaced in all of this time is the mattress. I was actually drafting this post well before the fourth baby situation arose, because I was using the Snuz in the living room in our rented house to get Ted to sleep in the evenings. He went through a really rough patch of not sleeping at all (still not great) and I would take the Snuzpod off the main frame, place the curve-bottomed crib on the floor and rock him with my foot. Usually whilst eating a Magnum. It struck me that the Snuz was a crib of many talents and deserved an extra post. The fact that I was still using it eight months down the line (albeit in an off piste, non-recommended sort of way, because he was a little too large for it by then and could sit up) seemed quite marvellous. So there you go – I can’t recommend the Snuzpod enough. It comes in quite a few colours and finishes now, all of them beautiful. You can find them online at Amazon here* (free next day delivery for Prime), John Lewis here* and Snuz here. Prices with mattress hover around the £2oo mark. 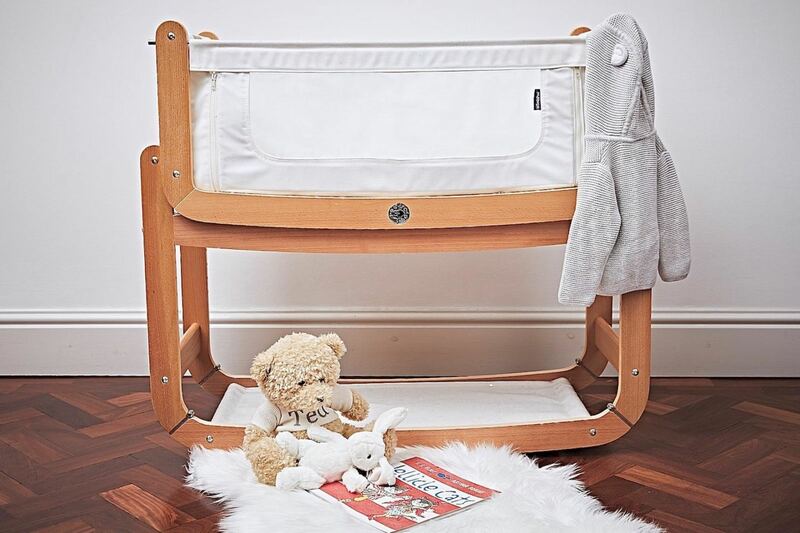 Update: ER, I’ve just seen that Snuz do a cot for older babies! I shall research and report back. It looks gorgeous!